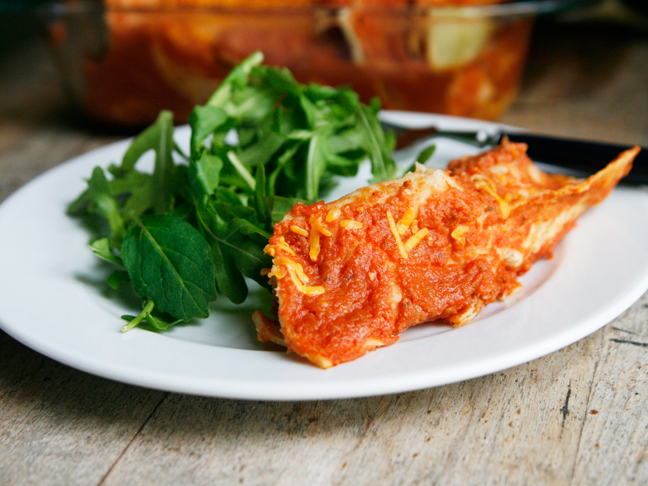 My kids love diving into these zesty, delicious enchiladas stuffed with cheese, chicken, and potatoes and topped with a super fast and easy homemade enchilada sauce—yours will too! 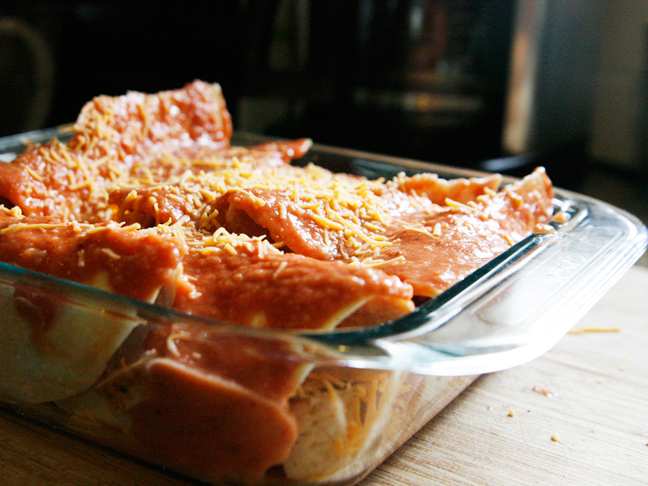 And don’t worry: these cheesy chicken potato enchiladas are super easy to make. Step 1: Preheat the oven to 375 degrees. 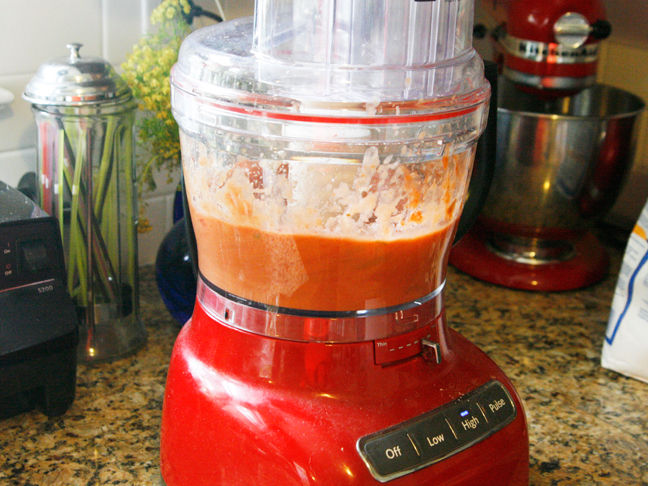 In the bowl of a food processor, combine the salsa, vegetable stock, and flour. Process until smooth (about 2 to 3 minutes). 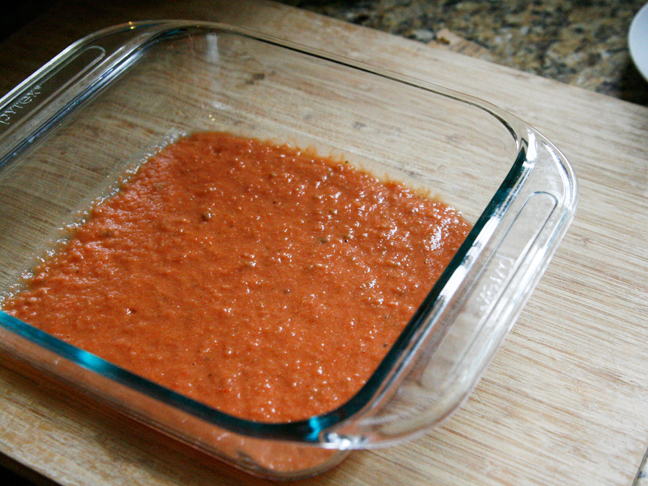 Step 2: Pour half the sauce into an 8 x 8 inch square baking pan. 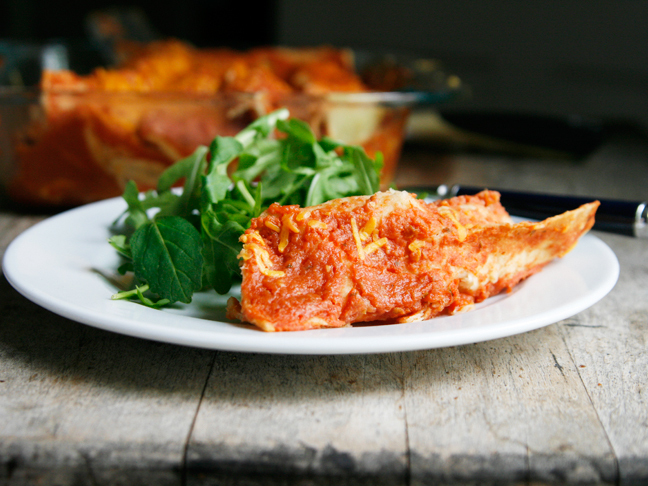 Tilt gently to spread the sauce all around into one even layer. 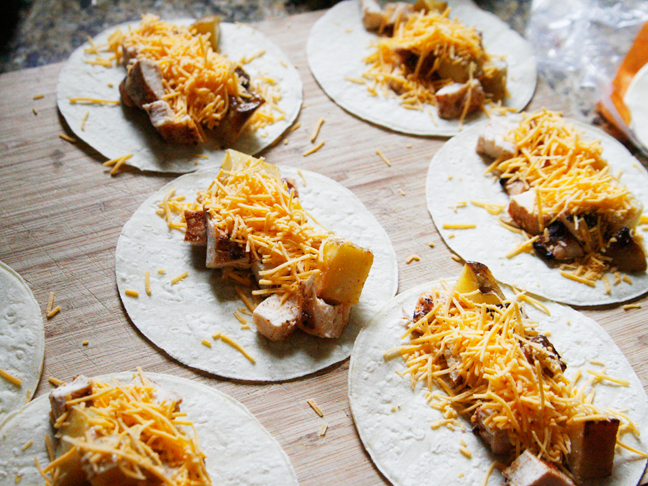 Step 3: Lay out the warmed tortillas and divide the chicken, potatoes, and cheese evenly among them. Roll each one up and place into the prepared pan, pressing them close together until all have been fit in. Pour the remaining sauce over the top, spreading to cover all the enchiladas. If desired, sprinkle a little extra cheese over the top. Step 4: Bake for 15 to 20 minutes, until the sauce is bubbling. Serve immediately.